Maintaining a safe workplace and fully compliant operations is important in any business. This is why governments enforce various environmental, health, and safety standards that companies must comply with to reassure the wellbeing of their workers and customers. But, how can you gauge the effectiveness of these measures? Moreover, how will you be able to keep up with the constant changes in compliance rules? The answer lies in the use of environmental, health, and safety platforms – also known as EHS software. 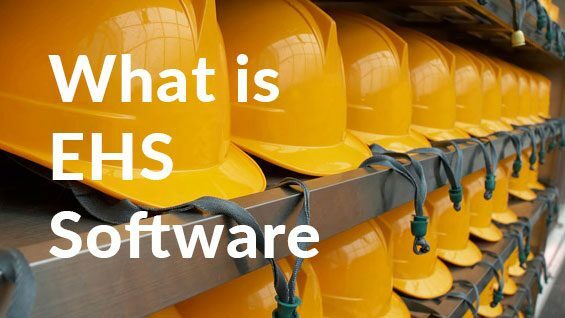 So, what is EHS software? These are intuitive systems that help businesses reduce the risks that come with their operations and alleviate some of the top pressures of complying with environmental, health, and safety regulations. Most companies use these platforms to stay up-to-date on current industry rules, improve manufacturing efficiency, and prevent any accidents from occuring in their workspace. Additionally, these platforms have tools that allow you to track insurance policies, take note of any incidents, and create corrective and preventive action plans for your operations. Pro-Sapien HSEQ Innovate – An enterprise class platform, Pro-Sapien HSEQ Innovate was built to address the HSEQ requirements of medium-sized companies and large corporations in high-risk industries. It offers powerful tools for hazard assessment, incident management, auditing, environmental compliance, training management, document management, and more. It even provides reporting and statistics solutions that you may filter depending on the needs of your operations. You can sign up for a Pr-Sapien HSEQ Innovate free demo here. Intelex – Designed to boost business standards and performance, Intelex is a scalable EHS solution for all types of companies. It is a mobile-ready compliance management platform equipped with supplier management options, real-time reporting tools, data security features, risk assessment solutions, and more. It can even be seamlessly integrated with third-party applications for your convenience. Cority – Formerly known as Medgate, Cority is a modular enterprise-grade software that focuses on EHS and quality management. It is a cloud-based platform that utilizes business intelligence, data retention management, and automated workflows to help you increase productivity while ensuring the safety of your workers on-site. Enablon EHS – Used by millions of users around the globe, Enablon EHS allows you to monitor sustainability, maintain EHS compliance, and handle operational risk management in one convenient platform. Whether you are looking for auditing tools, regulatory compliance options, incident management features, or air quality management tools, this software can be of assistance. It even has mobile capabilities so you can track your operations on-the-go. EtQ Reliance – EtQ Reliance is a cloud-hosted compliance platform created specifically for large enterprises in different industries. Equipped with quality management features, CAPA systems, and document management tools, this software can also help you perform job safety analysis, change management, and EHS planning. Turnkey Group Sustainability Software – Built for large corporations that wish to maximize their financial gain while mitigating their negative impact in various communities and the surrounding environment, Turnkey Group Sustainability Software offers various modules to help users address specific areas of sustainability and maintain compliance. It has modules for maximizing resource usage on water, electricity, and more while equipping users with the right set of tools for tracking their performance, associated risks, cost saving opportunities, and others. Encourages Sustainability – Implementing sustainable practices for your business can help you promote a better corporate culture, manufacture reliable products, and secure long-term profitability. By implementing an EHS software, you can easily detect and prevent the risks that come with your operations, making your business more sustainable. Boosts Employee Morale – Nearly 50% of employees care about a business’ sustainability efforts. Knowing their employer makes it a point to lessen their impact on the environment boosts employee morale. Through the utilization of EHS platform, creating a systematic approach to energy and water conservation, recycling, and other environmental concerns is much easier. Secures Customer Loyalty – Workplace health and safety not only affects your staff members. It has an impact on your customers as well. By ensuring the safety of your employees, you can fulfill the demands of your customers more efficiently. This, in turn, will help you secure customer loyalty. Increases Your Profit Margin – Keeping your company’s injury rate low can increase your profit margin. One of the best ways to do this is by using an EHS system to implement programs for your employees. Statistics show that these health and safety programs can reduce injury rate by 20 to 40 percent, increasing your chances of maintaining a good profit. Boosts Employee Productivity – EHS systems allow you to automate and improve your data collection process. This not only lets you yield more accurate data; it also allows you to focus more on other aspects of your business. On top of that, these platforms can help you respond quickly to new standards and regulations for your industry. Ensures Compliance with Regulations – Government regulations can change unexpectedly. To help you keep up with these changes, using an EHS platform is handy. It allows you to stay up-to-date on OSHA (Occupational Safety and Health Administration) rules as well as collect data to report your company’s KPIs with ease. Compliance Management: The most common type of EHS platform , compliance management systems deal specifically with industry rules and regulations. It helps you remain in-the-know of the different changes to compliance measures, collect data, and streamline log reports. Waste Management: Is your company particularly concerned about how you dispose of your operation’s waste? If so, then a waste management platform may be able to help you. This kind of EHS system monitors the management, transport, and disposal of waste in a centralized platform. This way, you can ensure that you are getting rid of trash in an environmentally safe manner. Program Management: This type of EHS system helps track EHS metrics in real-time, perform internal audits, and generate reports efficiently. Furthermore, you can reduce the chances of human error and speed up tasks that are usually tedious and time-consuming. Chemical Inventory Management: With your business operations requiring the use of different materials and substances, the slightest mixup can lead to costly and life-threatening repercussions. Using this tool enables you to monitor the storage and use of dangerous chemicals to help you meet obligations and avoid violation of safety regulations. Health Management – What does EHS software do? Above all, this tool helps you monitor occupational health and industrial hygiene within your office. It can measure your employee’s health status and gauge if their body is capable of meeting industry requirements. Safety Management – This feature allows users to track, assess, and prevent work-related accidents to ensure the safety of your employees. Using the data collected through this tool, you can then conduct seminars related to occupational hazards and work practices. Risk Assessment – This module lets users analyze processes that can lead to potential risks. It can also optimize safety audits, determine workplace hazards, manage insurances, and help you create risk reduction plans. Data Quality Check – Sifting through hundreds of collected data while ensuring their accuracy can be tedious and time-consuming when done manually. By using this feature, you can automatically validate your records with ease. Action Plan Creation – Are you looking to refine your approach to safeguarding your workers? This feature allows users to create corrective and preventive action plans based on incidents that have happened in your workplace or to other companies. Reasonable Price – Spending your money wisely doesn’t necessarily mean choosing the cheapest serviceable software on the market. You need to make sure that you are investing in a platform that offers everything you need at a reasonable price. This way, you get the best value for your money in the long run. Good Track Record – Make sure the product and its vendor have a good track record. Check the recognitions, certifications, or awards they have received over the years. This will allow you to gauge their credibility and reliability. In addition, be sure to read reviews of other users so you can get unfiltered insights on a company’s products and services. Scalability of Product – Your business’ needs may change over time. If you own a small business, chances are you’ll want to expand it. On the other hand, if you own a corporation, you might want to venture into other industries. In cases like these, you will need a software solution that can adapt to whatever situation you’re in. By choosing a scalable platform, you will save yourself from having to purchase a new one each time you make changes to your business. Reliable Technical Support – No matter how advanced the software solution you invested in, you are still bound to encounter technical difficulties–be it bugs, glitches, or user errors. To avoid downtimes, find an EHS system vendor that offers reliable customer support. This may come in the form of live chat, 24/7 phone support, email support, knowledge database, video tutorials, customer trainings, or a combination of any of the aforementioned. Robust Features – Before purchasing an EHS platform, take a good look at the features it has to offer. Be on the lookout for tools that are easy to use but powerful enough to handle your operations. This will help you ensure that both novice users and professionals within your company will be able to utilize the platform without hassle. Timely Software Updates – EHS systems are meant to keep you in-the-know about the changes in compliance regulations. So, it’s important that you invest in a platform that guarantees timely software updates. Seamless Integration – It’s difficult to find a program that has every EHS tool you’ll need. If you want to accommodate all of your business operations’ requirements using one platform, you should choose one that can seamlessly integrate with third-party applications. This will help you be more flexible with how you handle your EHS efforts. Pro-Sapien HSEQ Innovate – Pro-Sapien HSEQ Innovate offers quote-based enterprise pricing. All you have to do is contact them to discuss your EHS needs and they will provide you with a subscription plan that suits your business. Intelex – Intelex provides custom pricing packages based on your organization’s needs. Contact their representative for more information. Cority – Cority does not provide their pricing information publicly. However, they mentioned that they offer two subscription plans depending on the features that you will be requiring for your operations. Enablon EHS – Enablon EHS offers quote-based pricing packages. Just contact them to create a plan that meets your needs.  EtQ Reliance – EtQ Reliance only provides their pricing by-quote. So, you’ll have to get in touch with one of their representatives to discuss a subscription package. Turnkey Group Sustainability Software – Pricing on Turnkey Group Sustainability Software is only available by quote. Contact the vendor directly to learn about their pricing options. Security Breaches – Plenty of EHS platforms are cloud-hosted. While this makes it easier for you to access your data wherever you want, it also makes sensitive company information more vulnerable to threats. This is why you need to select a vendor that reinforces there EHS system with robust security measures. Difficulties in User Adoption – Just like other software solutions, EHS platforms require a certain level of technical know-how. Meaning, you’ll have to take the time to train your employees before you can fully adapt to using these systems. If you think this will pose as a problem to your operations, then, it is best to find a software provider that offers technical support and resources. This makes it much easier to understand how the platform works. Partial Compliance Management – Unfortunately, not all EHS systems can support a wide range of compliance regulations. So, it is best to check the inclusions of each platform before investing your money. Make sure you get software solutions that have industry-specific standards that apply to your business. Having an EHS system at your disposal can do wonders for your operations. It will help you keep your workplace safe, assure the security of your employees, and maintain the sustainability of your business. Hopefully, this article was useful in helping you understand what EHS platforms are and what they can do for your company. Likewise, occupational health regulation isn’t the only prerequisite your business must comply with. For other regulatory requirements like legal, security and other aspects, feel free to check out what compliance management software can do for your company. How To Choose The Best Help Desk Software For A Mid-Size Business?